The activities that transpire within the classroom either help or hinder students’ learning. Any meaningful discussion of educational renewal, therefore, must focus explicitly and directly on the classroom, and on the teaching and learning that occur within it. 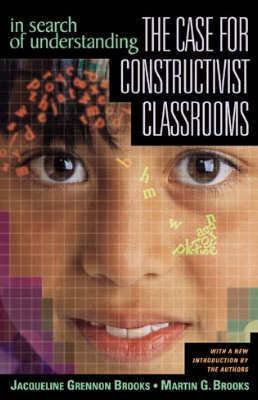 This book presents a case for the development of classrooms in which students are encouraged to construct deep understandings of important concepts. Jacqueline Grennon Brooks and Martin Brooks present a new set of images for educational settings, images that emerge from student engagement, interaction, reflection, and construction. They have considerable experience in creating constructivist educational settings and conducting research on those settings. Authentic examples are provided throughout the book, as are suggestions for administrators, teachers, and policymakers. For the new edition of their popular book, the authors have written an introduction that places their work in today’s educational renewal setting. Today, they urge, the case for constructivist classrooms is much stronger and the need more critical. JACQUELINE GRENNON BROOKS is Associate Professor in the Center for Science, Mathematics and Technology Education at the State University of New York at Stony Brook. MARTIN G. BROOKS is Superintendent of the Valley Stream Central High School DIstrict in Valley Stream, New York.